In TheraNest we have given lots of options to collect data, but sometimes one may need to collect specific data. That's where Custom Forms comes into play. Custom Forms allow for you to collect supplemental data and store it in TheraNest. Custom Form data cannot be pulled into any additional sections of TheraNest such as demographic information, reports, progress notes, etc. It also cannot be pre populated with information already entered into TheraNest as well. Again, Custom Forms are here for you to collect the supplemental data. All users with Therapist permissions are able to create Custom Forms. 4. Enter the Form Name and choose where to store the form. 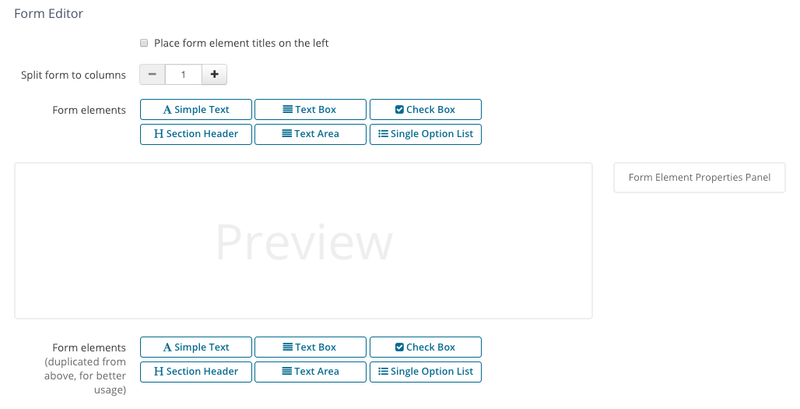 To create an internal document then you'll store under Custom Forms in left sidebar: leave bottom two boxes unchecked. To create a form for the Client's Details: Check the box "Check here to make this a client form. It will appear in the client details page". To create a clinical form in Client's Case Notes: Check the box "Check here to make this a case form. It will appear in the client cases page". 5. Click the buttons to add the appropriate fields to the Custom Form. Below is an explanation of each element type. Simple Text : This is text that does not require any action to be taken. It's for reading purposes only. You can easily paste any text from an existing form you have. Text Box: This is a box where one can enter a short amount of text. Text box is for one word answer. For text boxes you can also change the data type requiring an email address, date, number, or URL. For number it must be a whole number. Dashes or special characters in number is not allowed. Note: You cannot have duplicate or same name text boxes. Example: Phone number. You must use differentiators such as Mobile Phone number, Work Phone Number, Home phone number, etc . 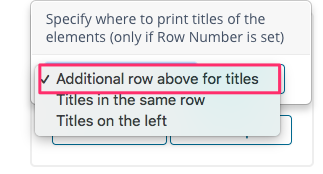 Check Box: Where one can set an an option have it be selectable by marking the box. Like with any of the Custom Form Elements you can click and drag your element into the position or place you want it to be. Section Header: This is the headline for a section or field. It will appear darker in the form. Text Area: Is like a Text Box but allows for a larger amount of response text. You cannot control the data type. It's purely for larger responses such as an explanation to a question. Click Manage All on the left under Custom Forms. The Custom Form is now added to the Intake Form packet and can be completed by Clients online. *Note: When the intake form is completed it will be uploaded into the General Documents section of the client profile. The information completed in the intake form can not be populated elsewhere in the software.